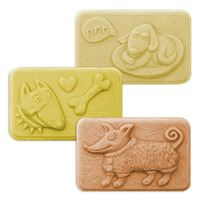 Milky Way Mold's line of dog, cat and animal soap molds includes everything from rabbits, cows, cats, dogs and horses. 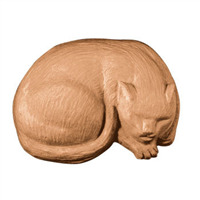 All of our unique and artistic soap molds have been hand-sculpted and last for many many pours. 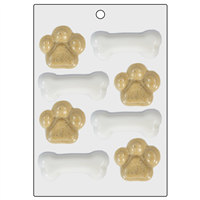 The adorable Bones and Paws Mini Mold is perfect for creating soapy gifts for those who favor furry friends! 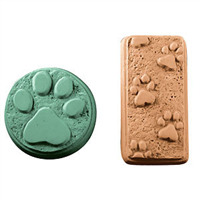 This mold features 4 paw print and for dog bone cavities. Once you fetch this whimsical design it’s bound to sit and stay in your collection forever. 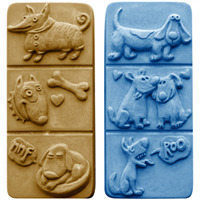 The Dirty Dog Soap Mold is adorned with a muddy pooch print so you’ll always know which bar belongs to Rover and Daisy. Wrangling muddy puppies into the bathtub finally has an entertaining payoff! Who’s a good dog? Who’s a good boy? 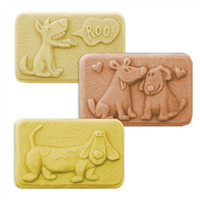 The Sitting Dog Soap Mold is perfect for soaps made to clean up muddy paws prints from dogs and kids alike. 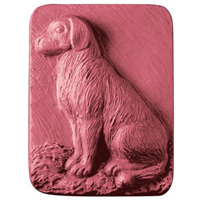 Bar Depth: 1.375" Bar Length: 3.5"
The Dogs 3 Soap Mold is a plastic mold designed for use with soap and lotion bars. It features three different dogs: a bull dog, terrier and great dane mutt. 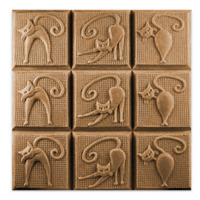 These cool cats are looking positively purr-fect with their stylized poses and curly tails on a textured background. 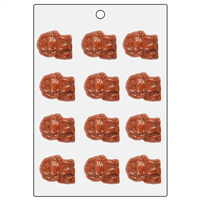 The Kitty Kats Soap Mold Tray features three retro graphic designs in a nine-mold tray making them perfect for Halloween, cat lovers, or the hepcat, hipster veterinarian in your life. 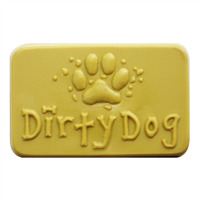 Fun in the sun equals dirty paws, so clean those mutts and other critters clean with soap made with the Paw Prints Soap Mold. It’s perfect for keeping both two-footed and four-footed house dwellers clean. 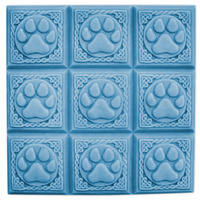 Beautifully crafted with a Celtic styling, the Paw Print Soap Mold Tray makes nine square soaps, perfect for cleaning up mutts and kids alike. 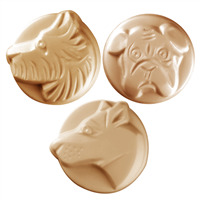 Anyone who loves puppies and dogs will love the Puppy Mini Mold! 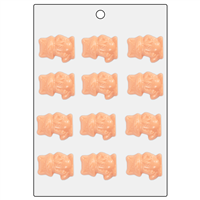 This plastic soap mold can be used to create 12 mini puppy soaps that look great on top of larger bars or loaves. 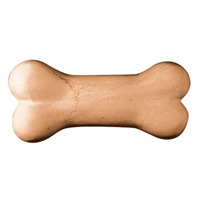 Bar Cavities: 12 Bar Depth: 0.4"
Bar Length: 1.75" Bar Width: 1.25"